Another recruit for the forces of the Adeptus Mechanicus. 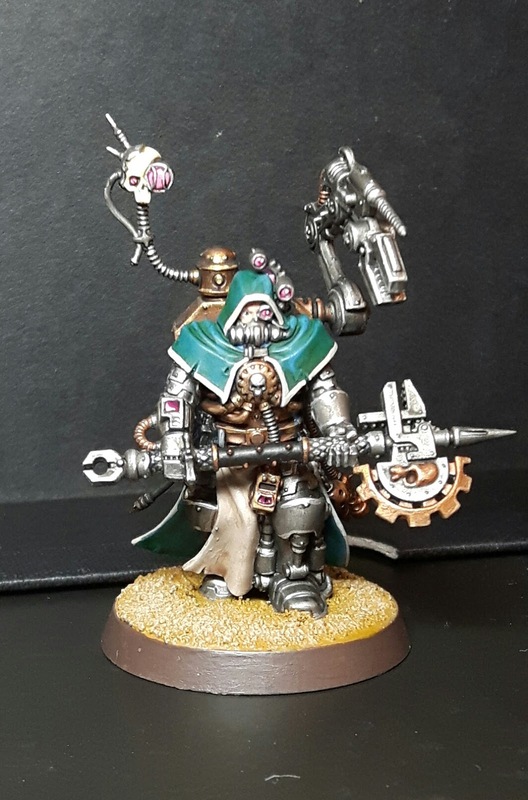 This time just a lowly Enginseer. So, a small addition to my growing forces but a very important one as he will be my second HQ choice which unlocks a few more precious command points for me to spend on those devious Mechanicus stratagems. On the tabletop he's pretty cheap and cheerful (especially since the points drops in Chapter Approved) clocking in at a miniscule 47 points! Not bad considering his ability to repair friendly vehicles. He's not going to achieve much in close combat and definitely not at range as he's only equipped with a laspistol! Still you can't have everything for less than 50 points. The miniature itself is simply gorgeous, full of details that engage with the models place within the Warhammer 40000 universe. The heavily mechanized arms and legs look crude and cheap compared to the sophisticated augmentations of the Magos Dominus. Similarly, his axe is less elaborate, more akin to a workman's tool than a staff of office. I'm delighted to have finished painting this model, it's one of my favourites in the range and I was fortunate to be given a copy for my Birthday back in September. It's a bit over exposed, but the servo skull is a gorgeous thing. 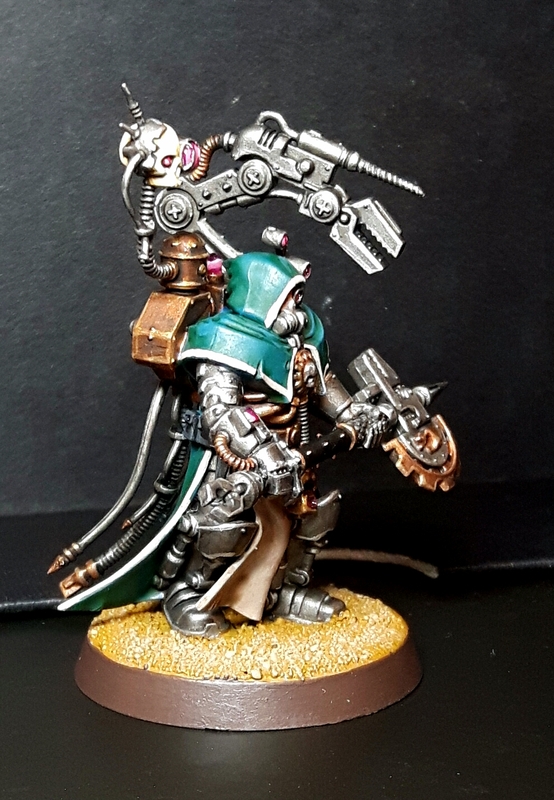 I've also been messing around with some kitbashes this week. Tune in later to see what horrible abominations I've managed to create! Thanks a lot! I really enjoyed painting this one, he's so full of character.